The ancestors of the Great Pyrenees date back to sometime around 3000 B.C., and hail from the Pyrenees Mountains, which form a natural border between France and Spain. These dogs were bred to be guardians of sheep and to aid shepherds. 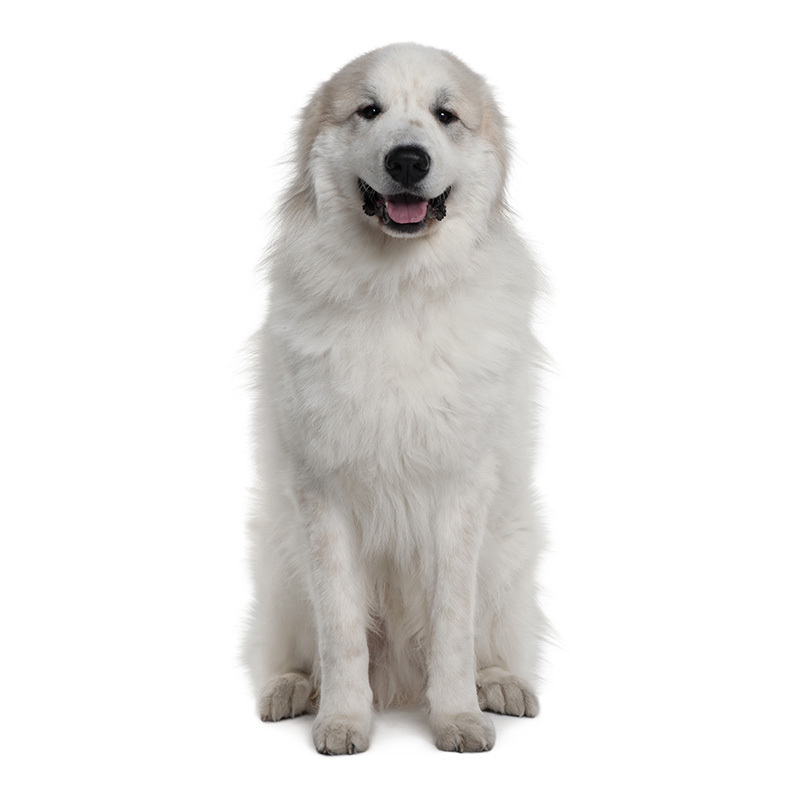 The Great Pyrenees is a close relative of the St. Bernard, and were used to work as avalanche rescue dogs. At first the Great Pyrenees were considered to be a dog owned by peasants, but in 1675, the Dauphin in the court of King Louis XIV declared the Great Pyrenees to be the Royal Dog of France. By the late 17th century, every French noble wanted to own one to guard their estates. Like most breeds, the two World Wars in Europe took a big toll. Luckily several breeders imported a few of these dogs to the United States, and after the war, breeders began to restore the Great Pyrenees to its former glory. Today they are thriving and a much-loved and admired dog. The Great Pyrenees are very protective of their family, livestock, and property. They are courageous and devoted to their people and will be the best friend anyone could ask for. They are known in the canine world as "Mr. Right." 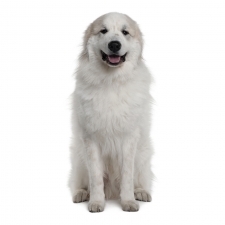 Great Pyrenees are calm with a gentle demeanor. They make guarding you their life goal, thus always wanting to be with you or know where you are at all times. They have strong territorial instincts. They are very intelligent, and are bred to think independently and make decisions on their own; however they can be stubborn. They make a good guard dog and will issue a deep, dangerous bark that is usually enough to make the average intruder run. The Great Pyrenees is a giant of a dog, both in size and heart. They usually weigh between 100 to 125 pounds and stand approximately 27 to 32 inches tall. They have a massive, powerful build. Their coat is thick, long, and white. The Great Pyrenees is a very versatile breed working as an avalanche rescue dog, a flock guardian, dog of war, cart and sled puller, a pack dog on ski trips, and an over-all defender of the family and property.